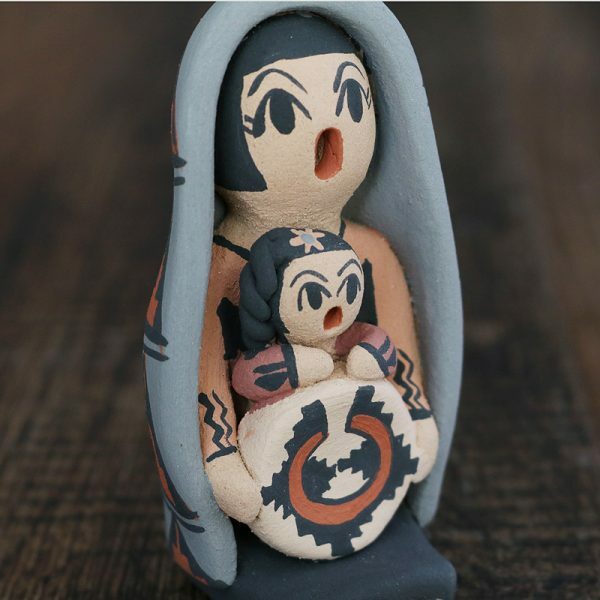 Tags: jemez pottery, jemez pueblo, pottery, pottery storyteller, storyteller. 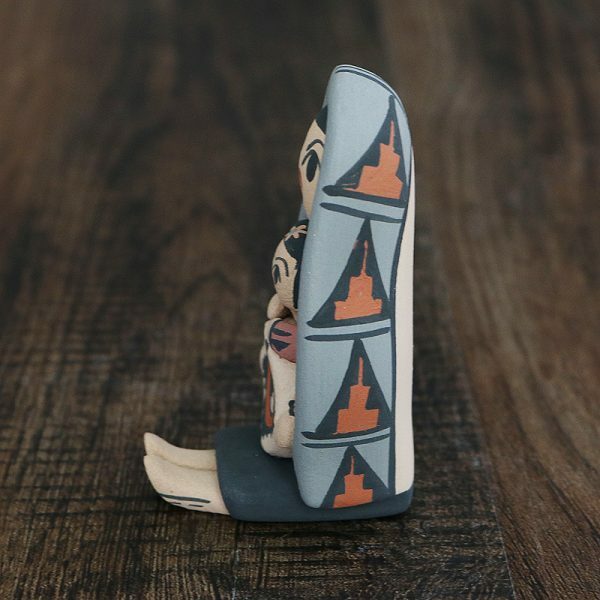 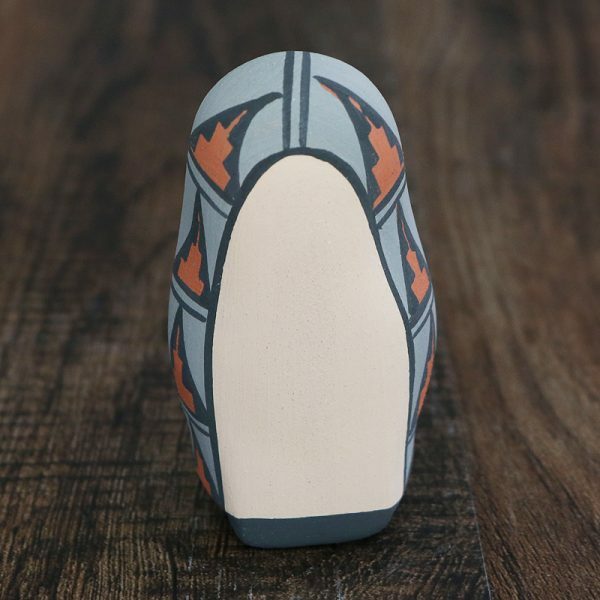 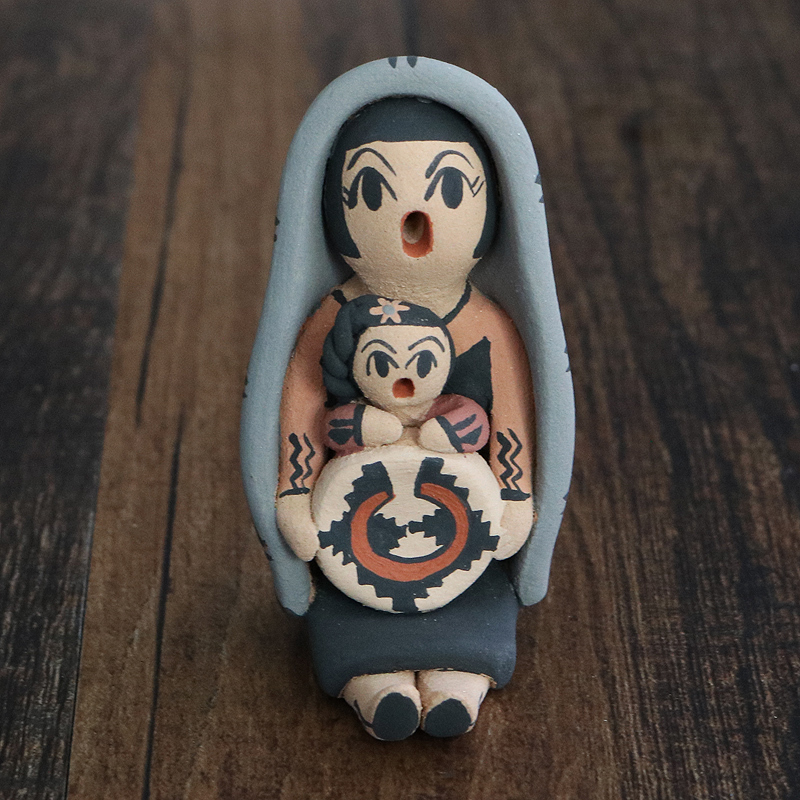 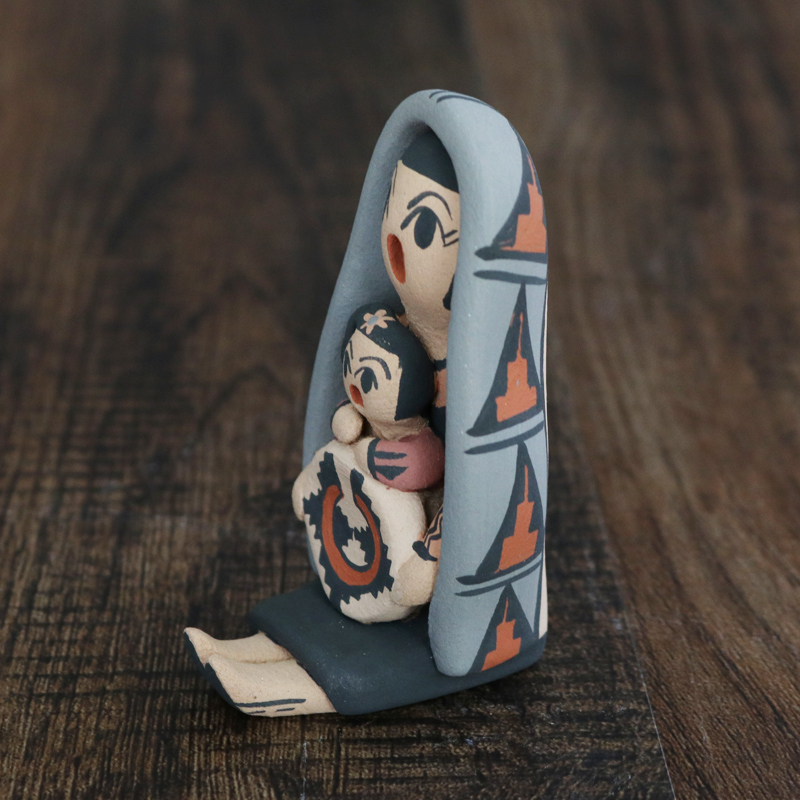 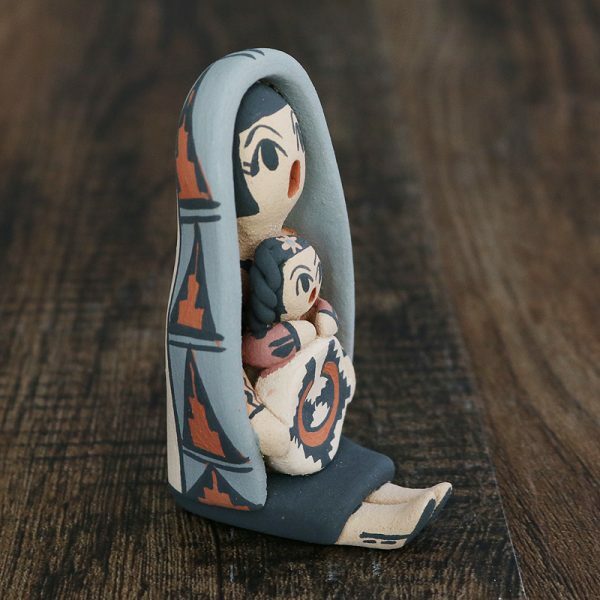 This wonderfully painted storyteller was handmade by Jemez Pueblo potter Anissa Fragua and depicts a woman holding a child and a wedding basket. 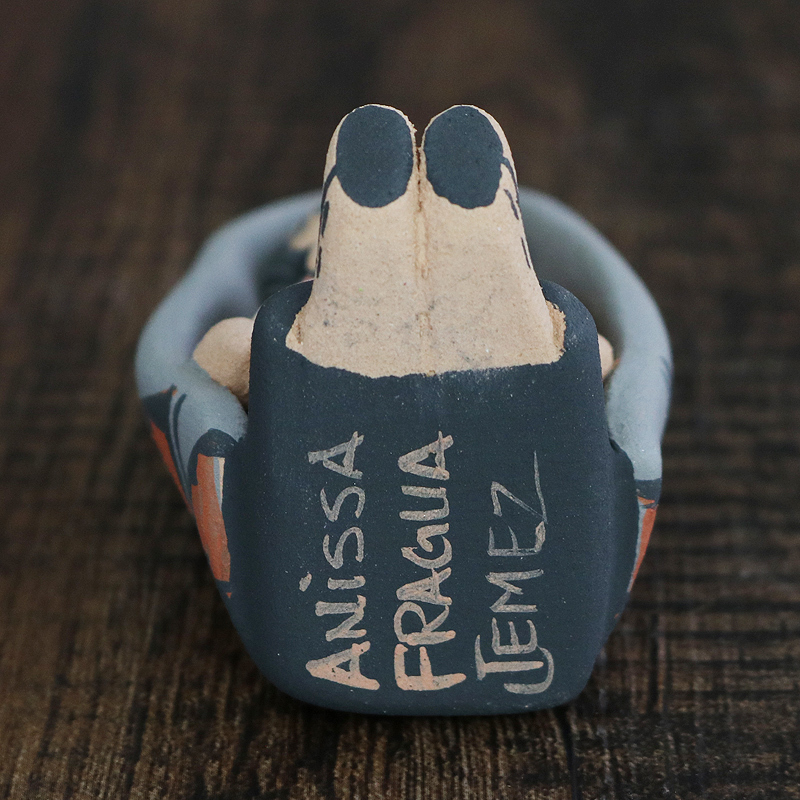 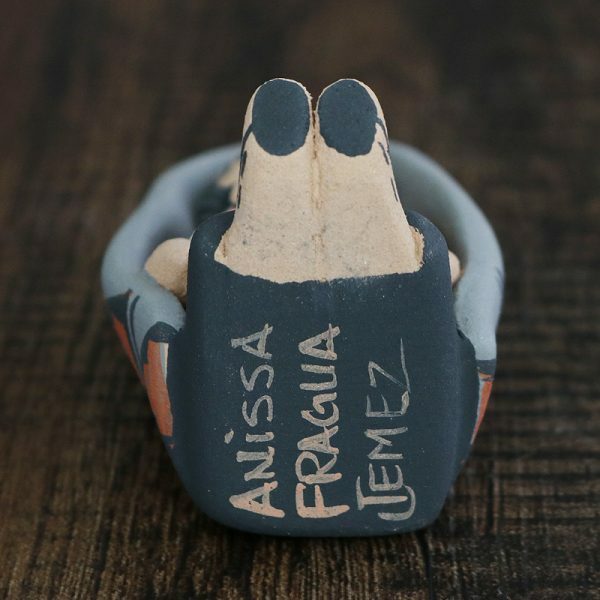 Anissa uses both the coil method and pinch method to create her pottery piece and as in traditional storytellers, Anissa’s storytellers have their mouths open. Storytellers represent the passing down of stories orally through Pueblo tradition.